It’s true! The rumours can now be put to rest. Folks- I know you’ve all been waiting in anticipation- the blog is re-launching! And, I’m excited to say that it will be back with a bang. I can’t share all the secrets with you now, you’ll just have to come back next Monday and see what exactly is going to go on, but just as a teaser… It’ll involve 3 wonderful, insightful, funny, friends of mine that are joining the blogging world via This Passing Life. Who are they?? Well, just wait and see! Enough exclamation points for now! I don’t want to see this blog die, which is what has been happening, in spite of my good intentions. I haven’t watered this plant every day which is why it’s withering, so now I hope that with a few other gardeners on board, you’ll see and hear a lot more. That’s all I can say for now, so please come back and see who my secret friends are that will be regular contributors to this little slice of a blog. And, just for fun- can you check out this sneaky little blog that has made it’s way into my home? My mom found it and shared it with me because well, that’s just what good moms do when they find good things that others will enjoy- they share them! If you like to cook,or like to cook fun things, then check out Spook Fork Bacon. WOW is all I can say. Kale & blood orange salad? Banana & bacon cookies? 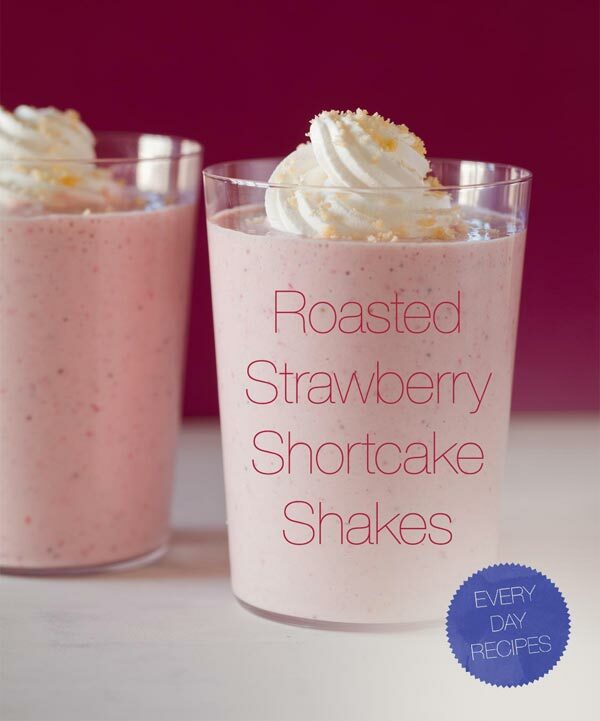 Roasted strawberry shortcake shakes?? I’m just gonna go and start making some of their baby chimichangas right now while you head on over there and start to drool while getting inspired to whip up something exciting for dinner tonight! See you Monday for the re-launch!